Renishaw is now working with autonomous topology optimisation expert ParaMatters to give manufacturers access to efficiently manufactured metal 3D printed parts. ParaMatters’ CogniCAD cloud solution enables users to easily upload part geometries for optimisation and automatically produces lightweight macro, meso and lattice structures using generative design principles backed up with high resolution finite element analysis (FEA) validation. CogniCAD users are no longer constrained by traditional complex CAD/CAE/CAM tools, instead they simply upload their part and follow the intuitive CogniCAD workflow interface to prepare a printable model. Renishaw has previously used CogniCAD to reduce the weight of the upper mounting bracket for Ecosse Moto Works’ motorcycle, the Nightstalker (pictured). Here, the two complementary technologies are used together to produce lightweight and structurally robust components and Renishaw’s collaboration with ParaMatters has made both technologies accessible to its customers. 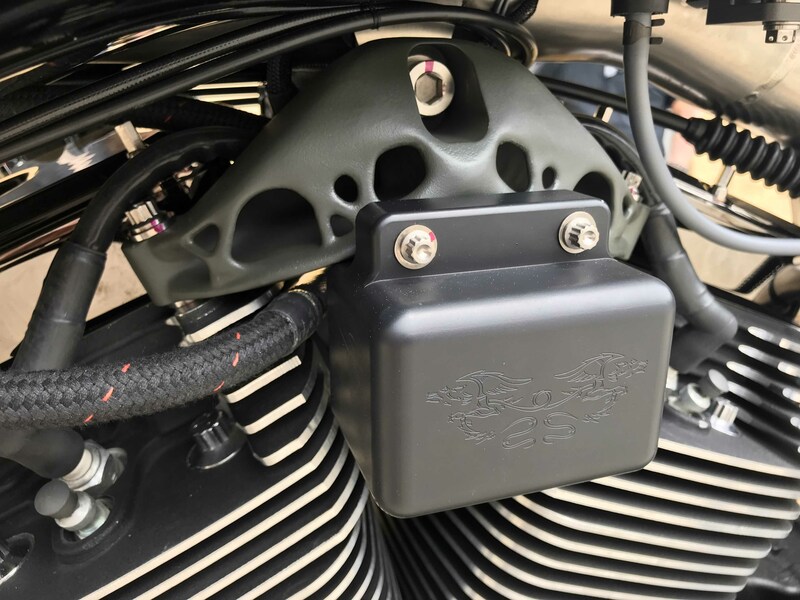 ParaMatters produced a design for the motorcycle bracket, which included a lattice structure to reduce the weight of the part. Once redesigned, the bracket’s structural performance was validated using FEA, provided by CogniCAD, and assessed by fitting it onto the motorcycle. The results exceeded expectations. The final bracket was 35% lighter than the original part, the maximum stress was 20% less and the fundamental natural frequency of the part was 2% greater. In a new extension of the collaboration, Renishaw will use CogniCAD at its AM Solutions Center in West Dundee, Chicago. ParaMatters will join Renishaw’s network of software vendors and will provide a ‘Click to Print’ functionality from CogniCAD. This will enable design review and printability assessment by Renishaw experts before additive manufacture commences. ParaMatters will also have access to Renishaw additive manufacturing systems for joint customer projects.